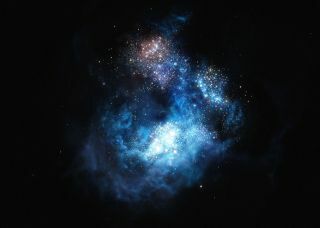 These Population III stars would have been short-lived, exploding as supernovasafter just 2 million years of blazing life, releasing the elements they created. (For comparison, the sun is about 5 billion years old and is estimated to last about 10 billion years). Later stars could form from those remnants and forge even heavier elements.